Blue Marlin Ibiza UAE is a household name in the UAE. Ask any resident, tourist, newbie or veteran about their favourite beach clubs and we guarantee Blue Marlin Ibiza UAE will be on that list. It’s been seven years since they stormed onto the scene, and they’ve been going from strength to strength ever since. And their Saturday beach brunch is the perfect balance between winding down the weekend and not wanting it to end. 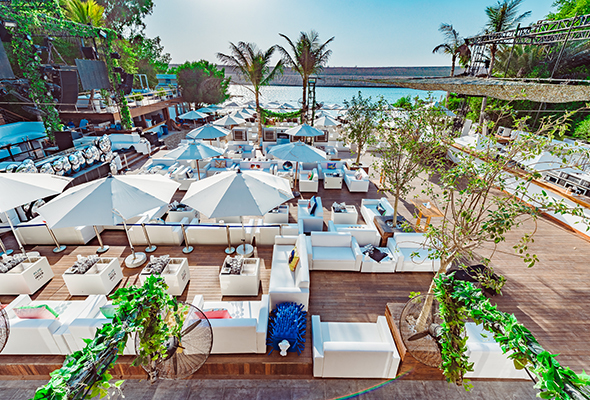 At Blue Marlin Ibiza UAE, you can relax by the beach while enjoying great music and unlimited bites and drinks. The perfect way to end the weekend in style. There are two ways to enjoy the brunch, on the beach and terrace – or in the restaurant. If you choose the beach, you’ll get a sun bed included to lap up the rays whereas the terrace and restaurant provide a more intimate dining experience. Both options include a spectacular food selection and unlimited soft, house or sparkling drinks. 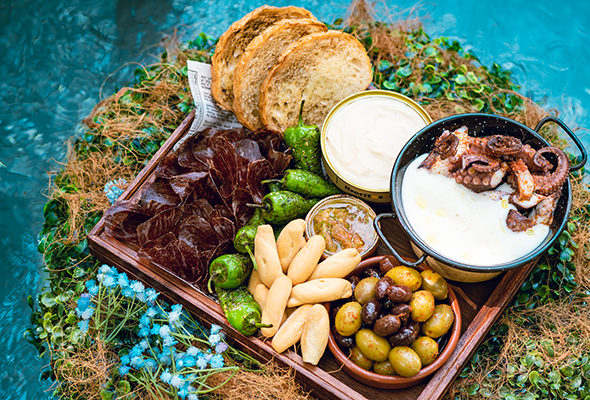 The menu draws inspiration from Blue Marlin Ibiza UAE’s Balearic roots. With Mediterranean seafood, barbecued bites and the freshest sushi all delivered direct to your bed or table, its then all washed down with expertly crafted cocktails and refreshing soft beverages. The restaurant brunch is priced at Dhs310 per person, and there are two sittings so you can choose whether to arrive at 1pm or 4pm. The beach and terrace brunch is Dhs340 per person, or you can upgrade to the champagne package which is Dhs580. Feel like you’ve transported yourself to Ibiza with the waves washing up against the sand, the resident DJ lifting the vibe until dark and the sun beaming down all day. Whether you’re looking for the perfect day out to enjoy with friends or family, Blue Marlin Ibiza UAE’s Saturday brunch has everything you need for a memorable Saturday of fun in the sun. As the beach club is located in Ghantoot, Abu Dhabi, if you need to travel there by Careem, Blue Marlin Ibiza UAE has a discount code. Just enter ‘BMIUAE’ and you’ll receive 50 per cent off your ride (up to Dhs55).